At the end of a PEST run (other than a Sensitivity Analysis), you may want to save the final parameters as inputs for a new model run, provided the adjusted parameters are reasonable. Click on the "Update Model with PEST Results" button. 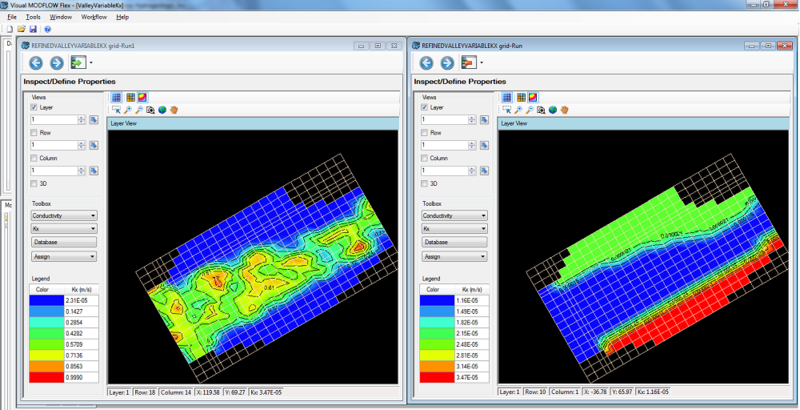 Visual MODFLOW Flex will save the adjusted model parameters in a new model run within the same project. This new model run will appear in the Model Explorer below the most recent model run. 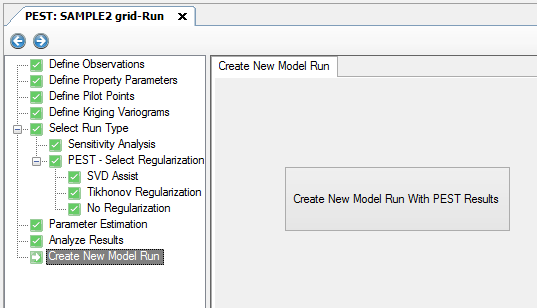 You must Translate and Run this new model run in order to see the updated MODFLOW results. In the past, you would need to do a "Save Project As...", if you wanted to keep the original model separate from the PEST updated model. With Visual MODFLOW Flex, you can have all these model scenarios/runs accessible within a single project, allowing you to efficiently compare the original model to the "PEST-adjusted" model run, where you can make comparisons between calculated heads, property zone parameters, etc.